With Halloween looming on the horizon, it's time for all things eerie to come out and play. In the world of bathrooms, toilets - especially those of the public variety - can often be very spooky places indeed! With the drip-dripping of the taps, weird noises emanating from the plumbing and the fact you are often utterly, utterly alone in what can be a dank and smelly place, your senses are left open to all sorts of strange sensations. With nothing much to think about, your imagination can run wild, and your eyes can play tricks on you...or so you think. So it's no wonder there are a large number of ghost sightings in toilets all across the UK. 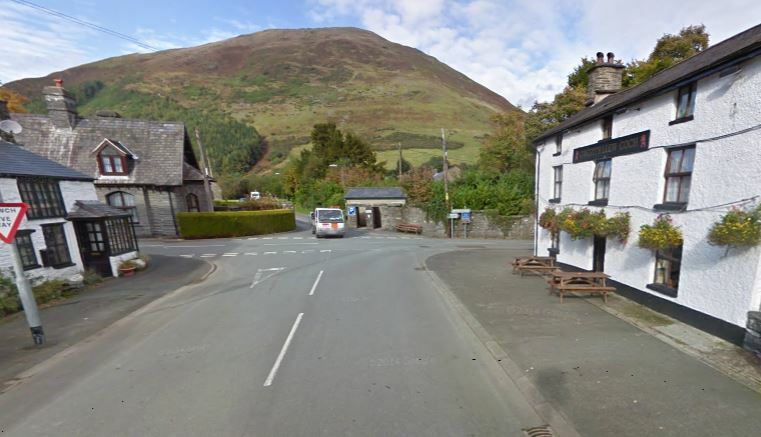 According to website MysteriousBritain.com a silver haired old man haunts the public toilets across the road from this North Wales hostelry. Whether this is true, or simply fuelled by the pints served therein, it would certainly send a shiver up the spine of many a brave soul! The remoteness of the location may give visitors the willies, but even the person who claims this says there isn’t any real evidence or sightings of the spectre in question. Perhaps this is more local myth, than genuine ghost? Do these toilets hold a spooky secret? 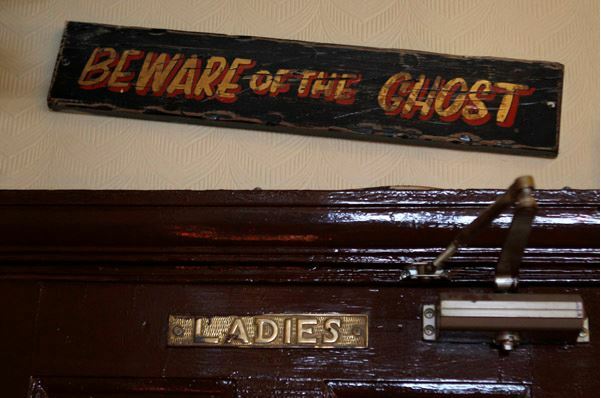 According to website LondonParanormal.com a spirit inhabits the ladies toilets of the The Bow Bells Pub, flushing the toilets whilst people are sat on them! Faulty plumbing or mischievous poltergeist? Well, the locals and owners took their haunted toilets so seriously back in the 70s, that they actually held a séance to rid the pub of the phantom. Apparently this didn’t "flush" the ghost out as a presence has been felt up to the present day. Yet, there have been no verified sightings (except the odd bit of mist around the bar area). With no verified ghost sighting, I wouldn’t rate this as the spookiest encounter ever. As Richard C Hale explains in his blog post 10 Tips to Tell if your Bathroom is Haunted, toilets have been known to flush themselves due to simple plumbing issues - so in this case, there may be a perfectly logical explanation. A quick look at paranormaldatabase.com shows many, many ghostly sightings for possibly the most haunted city in the whole of Britain – York. 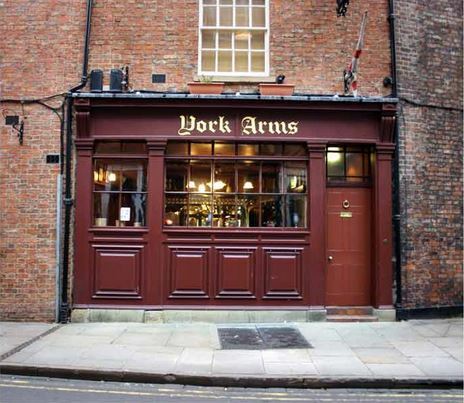 With a bloody history stretching back to the Vikings and Romans, many pubs in York claim to have a resident ghost and ghost walks are very popular for the throngs of tourists that visit each year. One of the many “grey ladies” of York, this particular spook was apparently a nun and has been spotted in numerous buildings, including the York Arms, where she just happened to make an appearance in the gents’ loos! It’s back to our very own East Yorkshire for a ghostly tale or two. According to Neonnettle.com, Hull University students have been feeling things going bump in the night for generations. Dark shadowy figures have been spotted hanging around the toilet area in the Ferens Hall student accommodation, accompanied by an eerie howling. The building allegedly used to be a psychiatric hospital and the ghost is said to be that of the former owner. Hull yes! 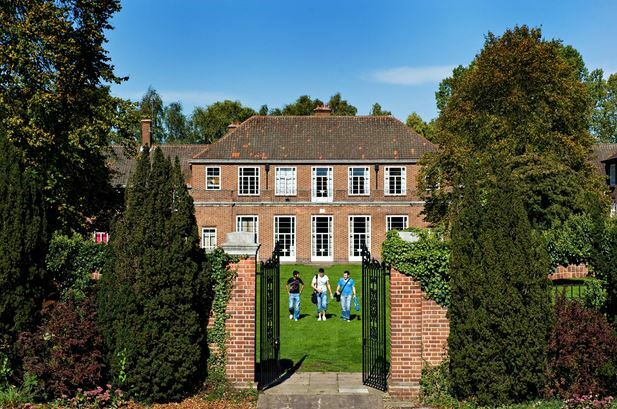 Being a student is frightening enough, but living in a haunted hall? It's enough to put you off your Pot Noodle! Having visited Chester, I found it to be a beautiful and evocative city. One can almost sense its tumultuous history by simply walking around the ancient walls and wandering through its old timber-framed heart. So perhaps it's no surprise that it has its fair share of spirits. According to british-paranormal.co.uk a particularly disturbing ghost can be found in the public toilets on Frodsham Street in the city centre. The male toilets are allegedly haunted by the spirit of a man who committed suicide somewhere on or near the spot. Terrifying sightings have apparently been made of the man dripping blood on the floor and these were said to have intensified after the toilets were refurbished in 2011. Is this the Chester Spectre?! Or is it just a man? Make what you will of these reports and sightings, but the next time you enter the toilets of an old pub or hostelry, take a quick look around. You may not be alone! Perhaps you know of, or even own, an even spookier bathroom or toilet? Tweet us @VictoriaPlumUK using the hashtag #SpookyLoos. The toilet. Virtually everyone in the UK has at least one, and sometimes two, in their home. However, many of us simply don’t realise what an incredible invention the toilet was and how it revolutionised the way we live. We take a brief trip through time to look at the history of the bathroom, from the Victorian era to the modern day. These days, it's all too easy to take our toilets for granted. To fully appreciate how amazing this invention is and how it has changed our lives, we take a brief look at the history of the toilet.